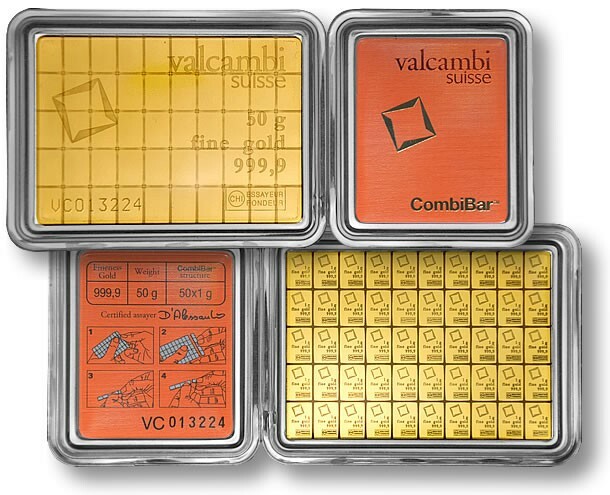 Valcambi innovative 50g gold investment bar, which comprises 50 detachable 1g bars. The Valcambi CombiBar™ is the best ever produced multifunctional bar in the world. It is technically designed to serve as an investment bar. Valcambi CombiBar™ benefits from Valcambi’s outstanding craftsmanship, Hallmark, Assay Mark and assured quality.